We finally made it out to our first spring powwow on Saturday. Because we have been doing a lot of performances and workshops lately if the kids didn't really want to go we may have just stayed home. It turned out to be a really great day. 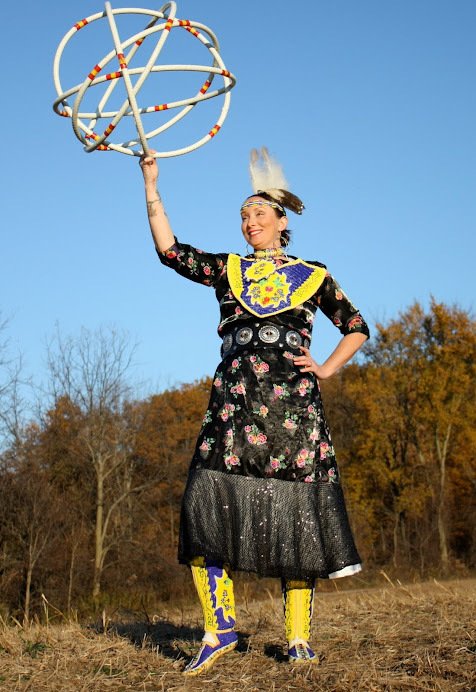 You can tell it was the first powwow of the year for us because we were a little rusty in our preparations. We would normally always take chairs with us and this time we didn't. And wouldn't you know it, this powwow was a BYOC event. Drat. Well at least there were a few benches that we were able to snag a spot on. 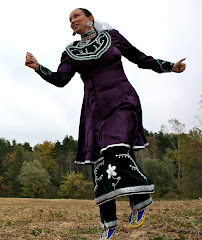 Because London has a Haudenosaunee community so close to it they did a lot of Iroquois social dances as well. Pictured above is Derek and Adrian taking part in Wasa:se. Derek and Adrian sang with Straight Sound for the day. 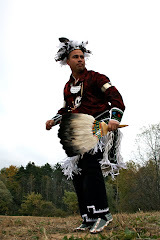 We will be performing on Monday at the kick off of Aboriginal Awareness Week at Laurier Brantford then heading to Eastern ON for the rest of the week. I hope everyone is enjoying this gorgeous sunday. Thanks for making it out! Meegwetch! 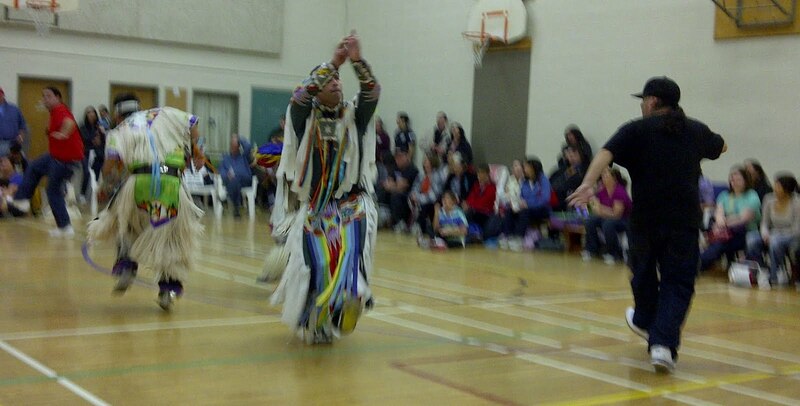 Great job on the powwow. Had a lot of fun once again.